Our trained and certified technicians are ready to serve you 24 hours a day, 7 days a week and 365 days a year! We have a concern for our clients needs. No matter how difficult the job, along with our experience and expertise in the field we get the job done right. But helping our clients through a disaster is also a large part of the job. We have prearranged agreements with hotels, restaurants, and stores to help get through a personal misfortune. Our sincere concern for our client’s satisfaction is a priority. No matter how large the job, with our experience and expertise in the field means we get the job done right… every time! Never have the words “time is of the essence” been more specific then when carpeting has been saturated by flooding, whether the cause is a broken pipe or sewage backup. It is important to get to the job within 48 hours of the initial loss. Bacterial off-gassing fibers and contaminated liquids are noticeable within hours and can cause permanent damage within days. Thorough understanding of the situations which cause such problems, whether it be fungus, mold, mildew or PH is essential to your determining the neccessary procedures to use. The first step is to AVOID HAZARDS and not create a more difficult situation. Make sure any exposed electricity near the water is tuned off. Also, water creates slippery surfaces causing people to fall. Be careful of sewage backups which could contain harmful bacteria. The second step in to STOP THE SOURCE of the water. If you have not found the source of the water call us immediately so we can help you stop the damage. 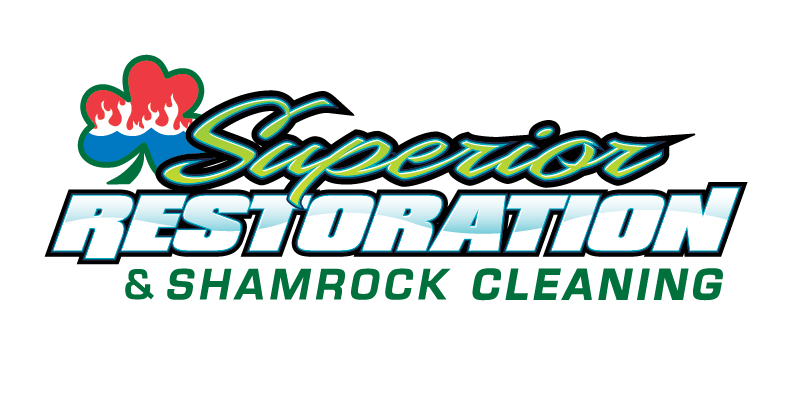 The third step in to TAKE ACTION by calling Shamrock Cleaning and Restoration asap, (909) 260-3680. We are available 24 hours a day, every day. After you call us we will be on the way. The fourth step is to REMOVE ALL FURNITURE from the damaged area. This must be done to pull up and dry the carpet anyway. Do it first to prevent further damage. Rust stains are caused by furniture on wet carpeting. Furniture could also damage the subflooring. Inspect the furniture to see if it has damage. Wood base furniture may swell and crack from exposure to moisture. Metal base items will rust. Our Professionals will extract as much water as possible from the carpet with our Extreme Extractor. This will reduce the water weight in the carpet for forced air drying. We will make a final inspection with a moisture detector to identify any other wet area, rooms, closets, etc., because these areas are not visable. All carpeting is thoroughly dried with air movers to prevent permanent damage from mold and mildew growth. When laying of new padding and reinstallation and cleaning of carpeting is necessary the process can generally be performed within two to three days of the flood restoration work, depending on the damage of the flood and the moisture levels involved. When the water damage is more extensive, such as complete rooms or the entire level of the home, the following process apply: Removal of carpet padding then extract the remaining water from the floor and carpet and clean up the area in which you are working. We always use furniture protectors were necessary. We will contain the area and place air moversand dehumidifiers throughout the water-damaged areas to dry the moisture in flooring, walls, and subfloors. Always remember that things will turn out just fine. 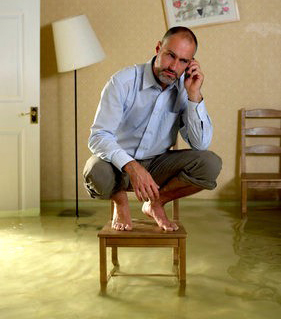 The most important step for you to take is to immediately call Shamrock Cleaning And Restoration for your 24 hour emergency flood water removal, dry out, cleanup and damage repair needs for Claremont, CA, Upland, CA, Rancho Cucamonga, CA and the surrounding area!